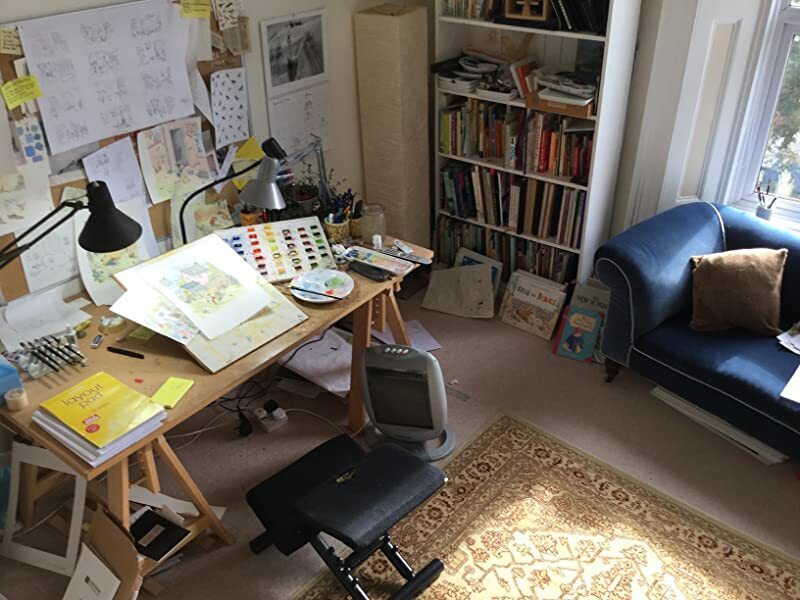 A grandfather shares with his grandchild the quiet wonder of birdwatching - and a wry talent for telling a tall tale. pictures of him. And sometimes they help him out by finding their own names in his bird book. "Birds are amazing," says Granddad, but Jess isn’t so sure. So one day she goes birdwatching with Granddad to see for herself. 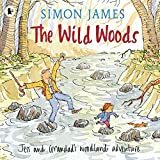 With expressive line-and-wash drawings, Simon James captures the leafy grandeur of the outdoors and the warm, special rapport between a child and a granddad, illustrating once again the huge happiness to be found in little things. Things happen when Jess's granddad goes bird watching. Sometimes, when he makes drawings of the birds, they make drawings of him, too. And when he can't find their names in the bird book, his obliging feathered friends help him out. Well, at least this is the story Granddad tells Jess. Intrigued, she just has to find out for herself. The first thing Jess notices when they arrive in the woods is... nothing. Not a bird in sight, even when she uses Granddad's binoculars. But by day's end, Jess has seen plenty of birds--including a pair of dancing penguins who share her sandwich. The pacing of James's (Leon and Bob) meditative tale takes its cue from the avocation he salutes. Granddad tells the narrator, "Jess, when I go birdwatching, things happen." The opening pen-and-ink and watercolor wash depicts a mild-mannered bespectacled fellow with a cap and binoculars. But the narrative quickly takes a turn: the elderly gent explains that, when he sketches the birds, they sometimes make drawings of him as well (the accompanying illustration shows man and feathered friend perched high on a tree limb, sketch pads and pencils in hand er, wing). They even help him locate their names in his bird book. These antics make for humorous, understated visuals, and the stories inspire Jess to tag along one day. At first, "Nothing happened." Peering out from a birdwatching hut, however, the duo spies various species ("Yellow Warblers, Ring-necked Ducks, herons, snipe, and Western Grebes") floating on the surface of a nearby pond. James's brushstrokes fill all but the sparest patches of watercolor paper, and the white that shows through simulates sunlight filtering through the trees. Heading for home, Granddad asks Jess what she liked best about the day; picking up on his wry humor, she announces, "I liked it best when the dancing penguins came and shared my sandwich." (Sure enough, a pair of penguins waddle behind them.) This attractive volume rewards those who like its protagonists possess a degree of patience and an appreciation of nature. Ages 4-8. 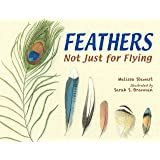 Nice story lends itself to a prek, k unit on birds....book was as described. 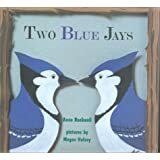 My grandchild laughed at the silly and sweet tale of a Grandpa teaching his granddaughter about the joys of birding. 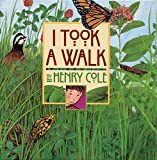 My students liked this story! Item exactly as described and fast shipping! Thank you! I got this book for my older son who loves all sorts of animals. He quite enjoyed it but I was quite surprised when my little 18 month baby wanted to read it too. True, she loves birds. She loves to go down to the park close to our house and feed `duckies'. When there are birds in our backyard she'll point through the back window at them, until I look, saying all the while, `bir, bir'. Just a couple of days ago she took the book out of our little-person's book section, walked over to my wife, took the book that she was reading out of her hands and put "Birdwatchers" into her hands. She then crawled up the couch and sat herself down in my wife's lap, waiting for her to start reading the story. My son liked the last page of the book, but my little girl will look on each page for any little birds that are there. 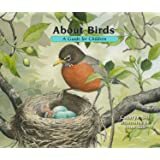 It is quite a good book for any bird loving child's library or adult too for that matter. 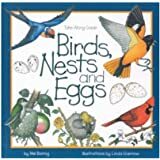 Fun children's book to get kids excited about nature and birds.